If the political betting odds are to be believed the Tory’s Boris Johnson is a near dead-cert to remain London’s mayor after next spring’s election. According to Oddschecker.com the price of the shaggy-haired extrovert narrowed to 2-5 on this week. Labour’s candidate Ken Livingstone – who will be campaigning to re-gain the mayoralty lost to Johnson in 2008 – has seen his price lengthen to 7-4 against. The LibDems are effectively non-runners in the race for City Hall. The changing odds reflected the findings of the latest YouGov opinion poll of voting intentions in London. Labour extended its lead over the Tories to 19 points, while in contrast Boris has a 7 point advantage over Ken. Both men have been given tacit approval by their respective parties to do and say whatever it takes to secure victory on May 3rd. The result will have serious consequences far beyond London; the outcome will be interpreted as a mid-term assessment of the Government and Opposition. Although Johnson is probably more in tune with the Tory heartland, Prime Minister David Cameron is keen to see his potential rival succeed. Victory will keep Johnson preoccupied for another four years but more importantly Cameron will take it as a vote of confidence in his premiership at a time when likely Tory policies will be at their most unpopular. To achieve this Johnson has to distance himself from his party so he can duck responsibility for public service job cuts and strikes in the wake of the Coalition’s assault on the deficit. He’s already started on this course with an outspoken attack on Ken Clarke’s – now withdrawn – prison sentencing policy changes. His recent call to let Greece sink under its own debts was counter to Downing Street’s no-comment stance. For Labour leader Ed Miliband having Livingstone returned to office would put paid to any remaining doubts about his own suitability to lead the party. To date Livingstone has failed to make much impact – as reflected by the opinion polls. But that could change with the disruption Londoners face from disgruntled public service workers starting with a series of transport strikes. I judge sympathy is in short supply and the public will support their mayor if he takes a tough but fair stand against the unions, who after all are bound to defend their members’ living standards. A different scenario would see Johnson overplaying his hand, say, when deploying the police. Livingstone – if he has any sense – would present himself as the only man able to broker peace with the unions even if he can’t actually deliver. Given both men don’t self-destruct by tripping over their own tongue – or trousers – and the economic outlook isn’t clear cut, come next May their personalities will count as much or even more than policies when voters enter polling booths. 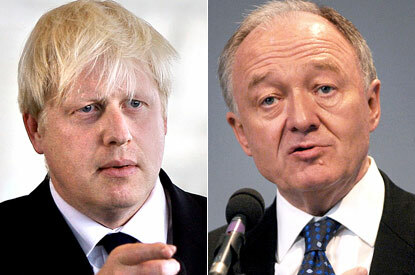 At 66, nearly 20 years Johnson’s senior, Livingstone might be seen to have undertaken one campaign too far. It is a pity that Labour have already accepted Ken as their official mayoral candidate. They have not allowed for the possibility of the emergence from the left of a younger populist figure who also has an understanding of local government. If at all, the next left wing mayor for London may well come from amongst the union leaders. Like you GC I think that Ken has probably had his day. You mention a London Labour poll lead of 19 points. As I said to you in an earlier blog/reply the palpable pain that is out there on the streets, has not been reflected in the media. It is surprising, GC, that the bookies have created such strong odds [both ways] nearly a year ahead of the actual election, with a Johnson poll lead of only seven points; when 'a week is a long time in politics' and when the politics is itself always affected by 'events, dear boy, events'! The answer to this apparent paradox is probably reflected within the contents your excellent commentary.